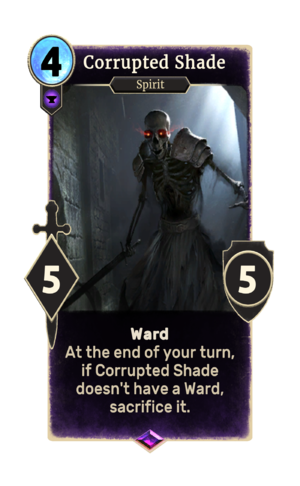 Corrupted Shade is an epic Endurance creature card. It is part of the Heroes of Skyrim expansion. Corrupted Shades appeared in Skyrim.